Hadas took advanced courses without taking preliminary courses needed for them and courses from other faculties, and during her second degree she did a research on optimal optical routers under the supervision of Isaac Keslassy. Recommendation to Program participants:"Use the opportunities the program suggests to find your fields of interest as early as possible." 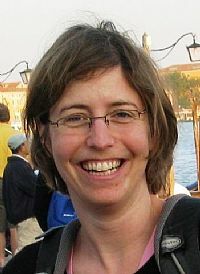 Today (2012): Hadas works as a researcher at HP Labs Israel, mainly in the field of computer vision.